When parents separate or divorce, children simultaneously have to process the grief of their family unit splitting and the anxiety of what is going to happen to their day-to-day lives. It has a real and lasting impact on their emotional development. Divorce can be incredibly disruptive to children, who want to keep living in their home, going to their school, engaging in their extra-curricular activities, and seeing their friends. Unfortunately, it sometimes does not work out the way the children would wish. In fact, one of the battles that often brews in contested custody battles concerns the children’s education. Where children go to school is generally determined by where they live. This makes sense from a practical point of view, as children need to get ready in the morning and get to school on time. 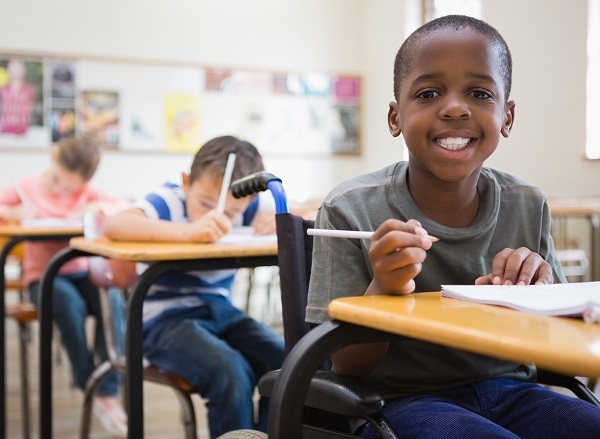 In addition, if a child is in public school, the location of the child’s residence generally dictates which school the child has to be enrolled in. During a separation and divorce proceeding, courts will generally enter temporary orders that the children remain living where they are and that they continue to go to the same school. This is to minimize the disruption in the children’s lives until the divorce is sorted out. As a general and commonsense rule, courts will determine that children should attend school in the area that they spend the most time. Following a divorce, this will be near the home of the custodial parent. Courts absolutely prefer that parents work together in making decisions for their children following their divorce, as this is in the children’s best interest. This is why in many cases, parents will be granted some form of joint legal custody of the children, or the shared ability to make important decisions about the child’s education, health, and welfare. After an extended summer visit in another county or state, the noncustodial parent refuses to return the children and attempts to enroll the children in a different school than the one the children have been attending. Obviously, this is done with the custody battle in mind. A non-custodial parent intentionally fails to pay the children’s private school tuition, resulting in the children losing their spot in the school. Then, that parent argues that the public schools in the custodial parent’s district are inadequate and that the children should be enrolled in a school close to the non-custodial parent. Parents can’t agreewhere the children will go to school, to the extent that no decision can be made and the school year begins with the children enrolled in no school at all. Often, in situations like these, court will have to become involved to make decisions for the parents. The mechanisms to do this are by enforcement of prior court orders or modification of prior court orders. While it is easier said than done, decision-making should be centered on your children and what is best for them. That means working hard to mindfully put aside the pettiness that comes with custody battles and if possible, to put that energy into improving your co-parenting relationship. In addition, it helps to re-center your focus by having an open discussion with your children about what they want, and why they want it. Try speaking with their teachers—not to interrogate them or to get them on your side—but to find out about how they feel your children are doing. After all, they are third parties who regularly observe your children in a way that you cannot. Your child may need counseling as a result of the divorce. If you choose this path, share your concerns about the child’s education with the therapist so that it can be addressed in a healthy way. Child custody battles are hard on you and hard on the children. However, you do not have to face this battle alone. New Direction Family Law handles all manner of family law cases, including separations, divorces, custody disputes, and child support cases. If you want a hard working, compassionate lawyer who will fight for your legal rights, give us a call. Our office serves Wake, Johnston, Lee, Harnett, Cumberland, Nash, Granville, Franklin, and Durham counties. Call our office today at (919) 719-3470 for a consultation, or reach us at our website.